Even If Chocolate Doesn't Ward Off Heart Disease, It's Still Yummy : Shots - Health News Chocolate still isn't proven to prevent heart disease, stroke, and diabetes. But people who eat a lot of it are less likely to have those health problems, according to a new study in the British Medical Journal. The fat and sugar in chocolate treats may negate any health benefits in chocolate. 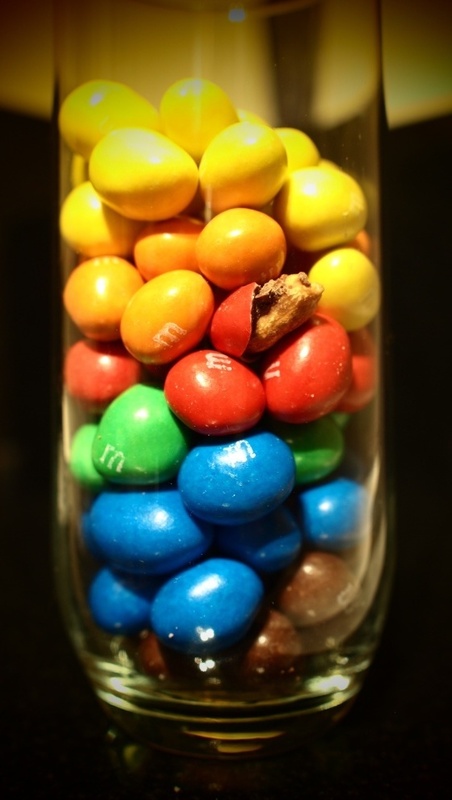 Lots of M&Ms were sacrificed in the writing of this post. Heart disease is the leading cause of death worldwide, but the tools to fend it off — low-fat diets, exercise, statin drugs — leave a little bit to be desired in the charm department. Then there's chocolate. It's hard to resist the notion that eating lots of one of the world's most delicious foods could be the key to cardiovascular health. But is chocolate "good for the heart"? That's just one of the pro-chocolate news headlines sparked by a rather wonky review just published in the British Medical Journal. To find out, Shots called up Oscar Franco, a clinical lecturer in public health from the University of Cambridge, who was in Paris delivering his chocolate-and-healthy-hearts paper at a conference. He confirmed that based on his analysis, and the seven studies it reviewed, there's no proof that chocolate prevents cardiovascular disease. What he did find is that people who told researchers they ate lots of chocolate were about one-third less likely to have heart attacks, strokes and diabetes. "These are promising results," Franco told Shots, but we need to do more research to confirm these findings." That would require scientists to feed people chocolate in a randomized controlled trial, and then monitor their health. Franco and his co-authors were candid about the shortcomings in their study. For one thing, it didn't measure how much chocolate the healthier people ate. And since the people had reported their chocolate intake themselves, it's impossible to know if they told the truth. Obese people tend to underreport their eating in surveys, and they are also more likely to have cardiovascular disease. So it could be that fat chocolate-eaters are much worse off than we think. Unfortunately, Franco doesn't advise eating scads of Scharffenberger or Valrhona while we wait for science to do its job. "The advice is not to start eating chocolate," Franco says. "But for people who are already eating chocolate, to eat it in a moderate manner, on a regular basis, and not in a single gulp." Why the moderation? Because chocolate is almost always mated with sugar and fat in candy, ice cream, and desserts. Those treats are hardly a heart-healthy delivery system. Tasty chocolate products that are less dependent on sugar and fat "would be a great benefit for the prevention of cardiovascular disease," Franco says. So get on it, food scientists. Given the hype surrounding Franco's study, it's not surprising that more than a few readers, and journalists, thought that chocolate has been given science's seal of approval as the perfect health food. A headline on a press release from BMJ touting the study said as much. "The headline for that release said 'It's official! '," says Kevin Lomangino, editor of Clinical Nutrition Insight, a newsletter for physicians and nutritionists. "The problem with that of course is it's not official. It didn't come from the Institute of Medicine, or the World Health Organization. It's one group of researchers with one study. " Lomangino was so steamed over the BMJ release that he wrote a blistering blog post for the health journalism watchdog site Health News Review. His screed may have had some effect; news headlines posted later in the day have been more likely to tone down chocolate's potential benefits. So, chocolate still isn't health food. But the bag of M&Ms consumed in the writing of this blog post was motivating, and delicious.